The foundation is down, the walls are up and he is on his way home! Join us on December 8th to help Andy paint his new house, and show your solidarity for easier access to housing and land tenure for people with disabilites, the Gender Communities and people living with HIV/AIDS! 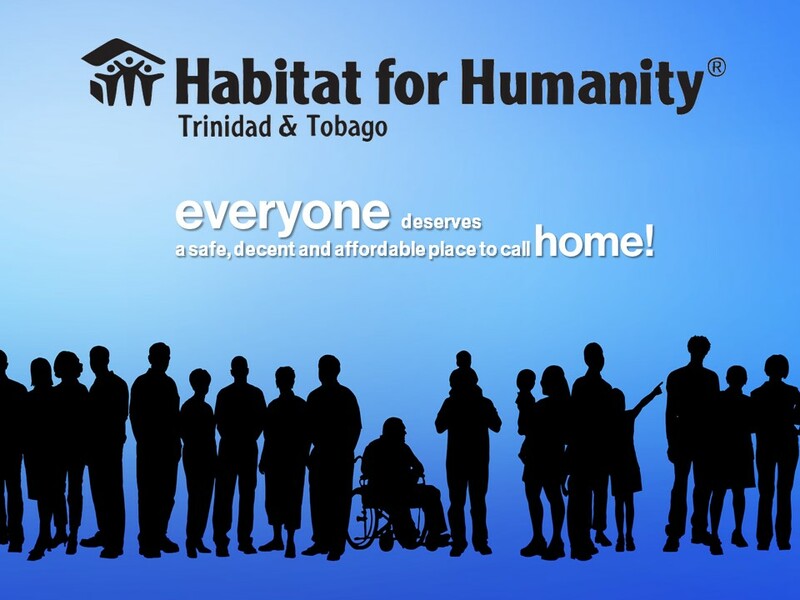 Contact 702-4663 or contactus@habitat-tt.org for details! 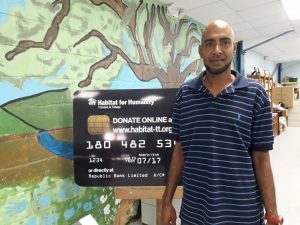 Advocacy Build 2018 in Trinidad and Tobago will help homeowner Andy move into a safe, stable and familiar environment to live independently and in security. Andy is Deaf; interviews are conducted with his co-applicant Michael Damion Mohammed. Andy was an only child to his parents; his father was a mason by trade and his mother was a housewife. His mother died in 1997 when he was just twenty years old and he was left with his father who was an alcoholic. With no one to guide him, he began hanging out in the town and more and more at the Mohammed’s bookstore. They would try to provide meals while he hung out with the staff and tried to help by moving boxes of stock. After his father died in 2006, a lady from the area stepped in and assisted him with getting access to the disability grant on which he lives presently. The current structure on the land could be as much as eighty years old. It is very worn and dilapidated. Half of the structure was condemned due to deterioration and cannot be used. It is through this condemned section that thieves enter Andy’s home and steal his few belongings. Mr. Mohammed said that for this reason, all Andy’s clothing is kept at his home.